The Montgomery County Public System (MCPS) is one of the highest rated school systems in the country. And it's one of the biggest with over 150,000 students and getting bigger every day. Our school system is organized into 25 school clusters. For 19 of the clusters, a home address determines the student's assigned elementary, middle and high school assignment. 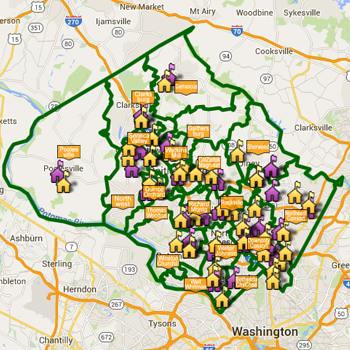 In the eastern part of the county, eight clusters are organized into 'consortiums'. Here, a student articulates to a specific elementary and middle school based on the home address, but the student can choose to attend any high school within the consortium. MCPS also offers a collection of rigorous, application-based magnet programs and other special needs and vocational programs. The quality of a child’s education depends on too many complex factors to be distilled to a single, one-dimensional list of "the best schools". 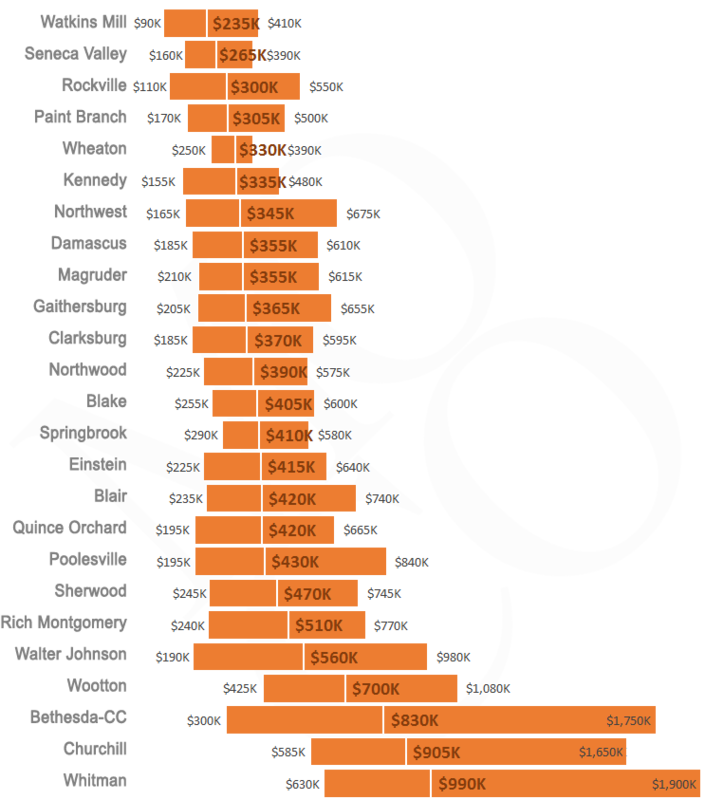 Montgomery County is like other areas in the U.S. where students in the most affluent areas with the most expensive housing generally perform better on standardized tests like the SAT. And although Montgomery County is very affluent, it is economically and demographically diverse. The cluster with the lowest median home price is $245,000 and the highest is $990,000. That is quite a big range. In all clusters, a student has access to a robust range of challenging courses delivered by well-trained and effective teachers. To help research schools, quickly see all details for all schools in Montgomery County from this site. 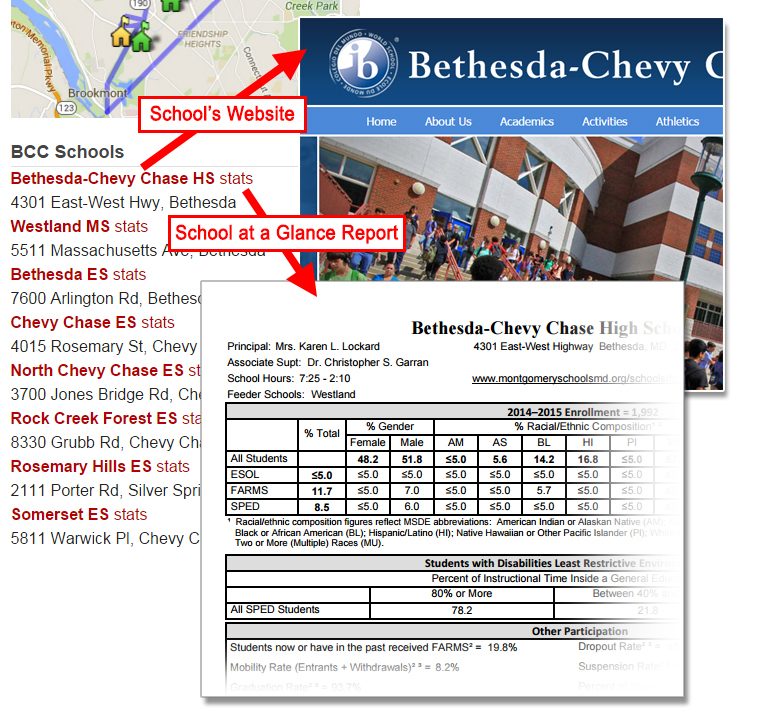 Select the cluster and click 'stats' to see the school's "Schools at a Glance" summary. This report is packed with useful information showing test statistics, the school's population, number of teachers and more. Click the school name and go directly to the school's official website. All schools in Montgomery County offer an extensive range of robust and varied programs. The best school for you will factor in the school's location, home style and price. For most of us, finding a home that has the space, style, school assignment *and* is within our budget is impossible. To help narrow your search, overall home prices by school assignment are summarized below. This chart shows home prices of 80% of the sales (removing the top and bottom 10%) and the median home value by cluster.